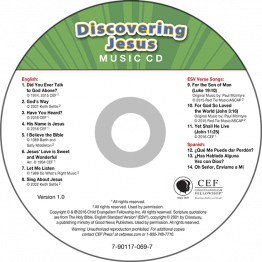 Music CDs indicate for which Bible lesson series songs are suggested. 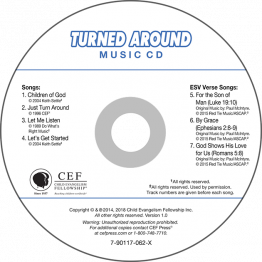 Songs on this CD are recommended for use in God: The Creator King, Jesus: God Who Cares for People, God's Plan in Action: The Early Church, The Patriarchs: God's Plan Unfolds (2017 version). 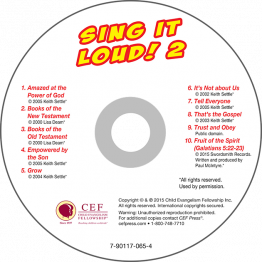 Songs on this CD are recommended in the series God's Sovereignty: The Life of Joseph; God Protects His People: The Life of Esther; Jesus: God of Power and Glory, God's Church Expands: The Ministry of Paul. Christ Redeemd Us, Did You Ever Talk to God Above?, Have You Heard? His Name Is Jesus, I Look to You, I'll Stand for God, Jesus Is Caring for You, Jump, No Turning Back, Salvation Poem, Stop/Go, Three Questions, Trinity Song, What's the News?, Christmas Bells, Joy to the World, Jesus Is the Good News. Bible Verse Songs (ESV): Proverbs 3:5-6 (Trust in the Lord), Matthew 6:9-13 (The Lord's Prayer), Romans 1:16 (I Am Not Ashamed), Romans 8:28 (All Things), Ephesians 1:7 (In Him We Have Redemption), Ephesians 6:10 (Be Strong in the Lord), Philippians 1:6 (He Who Began), Philippians 4:6 (Everything by Prayer), 1 John 4:4 (He Is Greater), Luke 2:11 (For Unto You), John 11:25 (Yet Shall He Live). 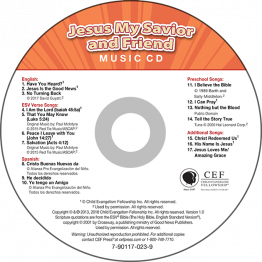 Songs on this CD are recommended in the series: God's Good News: The Wordless Book, Jesus: God Who Saves, God's Power: Escape from Egypt, and God's Faithfulness: Return to Canaan. 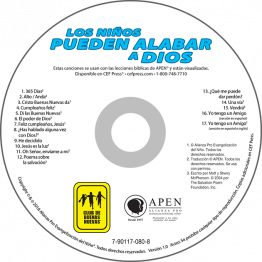 Songs on this CD are recommended in the series: God: The One Who Knows My Heart (David), God Rules: Be Strong (Daniel), Jesus: God Who Came to Earth, God: The One to Follow (Peter). See below for complete list of songs. Ten songs for kids to listen,sing and learn! Amazed at the Power of God, Books of the Bible (Books of the Old Testatment, Books of the New Testament), Empowered by the Son, Grow, It's Not About Us, Tell Everyone, That's the Gospel, Trust and Obey, Fruit of the Spirit. 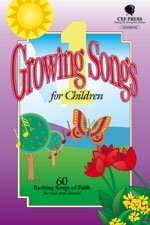 Songbook includes 60 exciting songs to help kids grow in their faith. 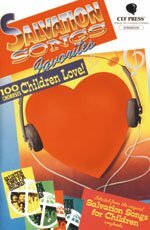 For a complete list of the songs in this songbook, please call 1-800-748-7710. Thank you. 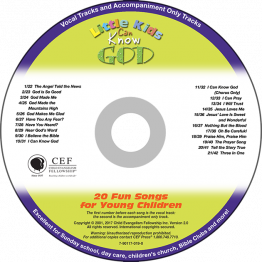 A treasury of 100 favorite songs to encourage children in their faith. Linda counts it a privilege that God called her from Northern Ireland to be a missionary to the countries of Central Europe. Sibiu, Romania has been her home for the last 20 years. The title song, Break My Plans, tells the story of one of Romania's heroes of faith, Nicolae Moldoveanu. 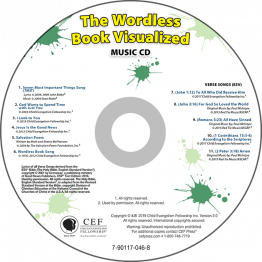 He wrote this song during his imprisonment because of his faith. 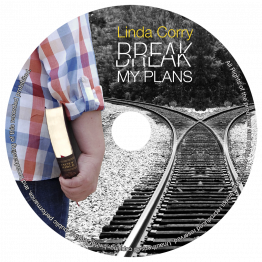 Each song on this CD has a special meaning for Linda. Rescue Me; The Promise; Leaning on the Everlasting Arms/My Troubled Soul; Break My Plans; Nothing Greater Than Grace; Wonderful One; For the Kingdom; The Precious Blood; I Have Decided; The Faithful One; What God's Gonna Do; Unredeemed; Bonus track- Cânt Aleluia. 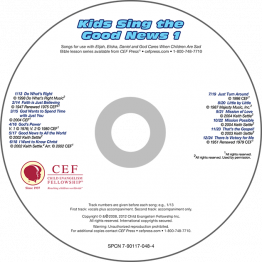 All proceeds from this CD will go to support the CEF SPAN program.